Bring your brooms to the ballpark today, because your Lowell Spinners are going for the three-game sweep of the Vermont Lake Monsters! The Spinners won the first two games, 4-1 Friday and 2-1 Saturday, and have received excellent starting pitching to propel them to those wins. Ty Buttrey bounced back in his second start of the season to pitch six shutout innings with just two hits and six strikeouts to pick up the win Friday. Sergio Gomez notched his first win of the season with another six shutout innings Saturday. He faced just one batter over the minimum for six innings, lowering his ERA to 1.15 in 15.2 innings pitched. Today, Mario Alcantara takes the hill and goes for his third win in as many starts this season. Alcantara has yet to give up a run this season and is making his first appearance on the LeLacheur Park mound in 2013. Last night, the Spinners moved above .500 with a 2-1 win, courtesy of two Lake Monster errors. In the sixth, a two-out strikeout would have ended the inning, but the ball bounced past Vermont’s catcher, allowing Reed Gragnani to reach first. The catcher’s throw sailed into right field, which brought home both Spinners runs. Greg Larson closed out the game in the ninth to preserve the win. 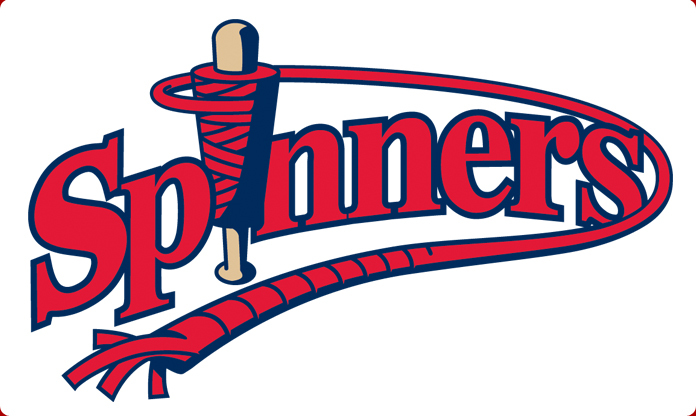 Come on out to the park today to see your Spinners go for the clean sweep! Kids will receive a “Color Your Own” Spinners Pennant, complete with markers, so they can color in their very own baseball pennant! See you this afternoon!